Storage condition: to store at the room temperature in the dry and protected from light place. 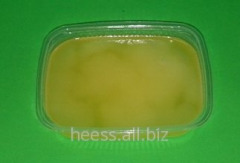 Emulsifier is intended for preparation of liquid crystal or lamelyarny emulsions. The emulsion is created by such principle – the drops which are present at a network of a liquid crystal are characterized by multilayered structure of lipids — emulsifier and water. This structure is very similar to structure of the skin, therefore, the emulsion is characterized by excellent compatibility. On the basis of EMULFARMA IXL (EMULPHARMA IXL) it is possible to receive emulsions which keep moisture. restore, eliminate peelings and to that podobnoye.vosstanovleniye of normal acid-base balance of skin. EMULFARMA IXL (EMULPHARMA IXL) allows to accelerate restoration of epidermis, the balance of skin restores lipidna. Laurinovy acid as a part of EMULFARMA IXL (EMULPHARMA IXL) gives a pleasant skolzkost and are perfectly distributed on skin, antimicrobic action. In a human body laurinovy acid turns in monolaurin – substance, very effective in fight against various pathogenic viruses, fungi and bacteria. Besides laurinovy acid promotes acceleration of zazhivleniye of the damaged integument and intensifies regeneration of skin. Miristinovy acid promotes the best penetration into skin of ingredients of cosmetics, and also plays an important role in stabilization of the proteins used by immune system. care of the dry skin inflamed, the coarsened parts of the body, the withering and mature skin of a body, for sensitive skin. EMULFARMA IXL (EMULPHARMA IXL) will also be suitable for ukhodovy means for skin around eyes, a bust and a decollete. Also will be suitable for ukhodovy means for problem and fat skin, but it not to be necessary to exceed input (no more than 2,5% as mirimistinovy acid can cause rash). 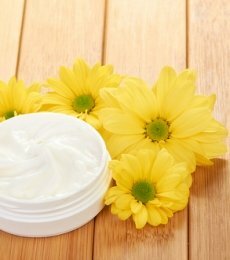 as a part of emulsions it allows cream to be absorbed quickly, softens and nourishes skin, does not leave sticky and fat feeling on skin. 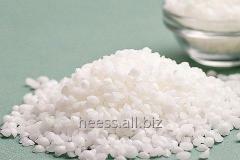 Provides deep and fast penetration into skin of the components which are contained in cosmetics. This emulsifier is quite simple in preparation. We prepare in the usual way, emulsifier is placed in capacity with an oil phase, separately we heat a water phase when both phases reach 70-80 °C the Water phase we enter into the Fat phase, all the time mixing an emulsion. To homogenize an emulsion within 10 minutes, the drill or other high-speed devices are not obligatory, it is possible to mix even in the manual way. At 40-45 °C at continuous hashing we add the Active phase and we mix within 10 minutes. 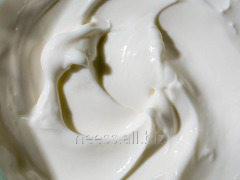 Emulsifier gives only liquid emulsions, for receiving more dense cosmetics it is desirable to enter in addition into an emulsion geleobrazovatel, thickeners, batter, etc. The emulsion will become still more interesting if as a part of your compounding there are several emulsifiers. Unbelievable price on EMULFARMA IXL, EMULPHARMA IXL in Belogorodka (Ukraine) company MH i Gustav Geess Ukraina, OOO.